The fearsome-looking Payara has an adequately scary nickname – the Vampire Fish. 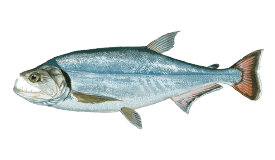 Anglers have given it other names like saber-toothed dogfish, all in the hopes of drawing attention to its prominent teeth. 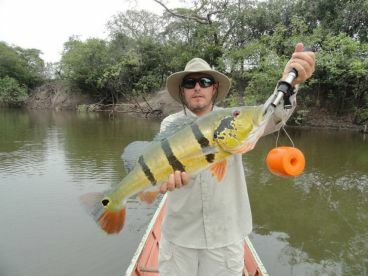 Only a small number of anglers know about this relative of the Tigerfish and Piranha, most of them from South America where the fish is found. Payara’s average length is around a foot but is known to reach almost twice that at times. With the current IGFA record set at 39 lb and 4 oz, they can get really big and intimidating. 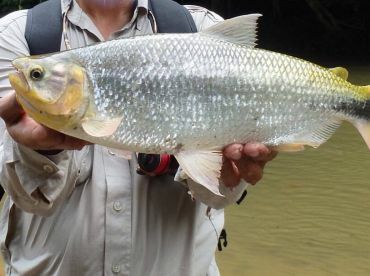 The species originated in the Amazon Basin and has made its home in freshwater rivers and lakes in countries like Colombia, Brazil, Peru, Venezuela, and Peru. 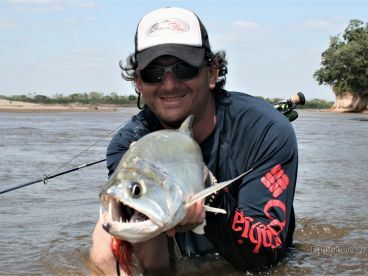 Payara prefer fast-moving rivers, but will also stick around in still waters if necessary. 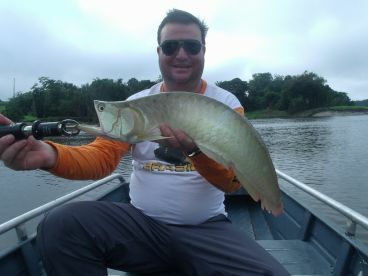 Payara are very aggressive fish, so you can easily get their attention by using flashy or noisy lures. They’ll put up quite a fight at the beginning, which usually includes leaping out of the water. However, they also tire quickly, so you just need to make sure they don’t get any momentum going. The taste is nothing to write home about, but their sheer abundance has made them a common part of local cuisine.